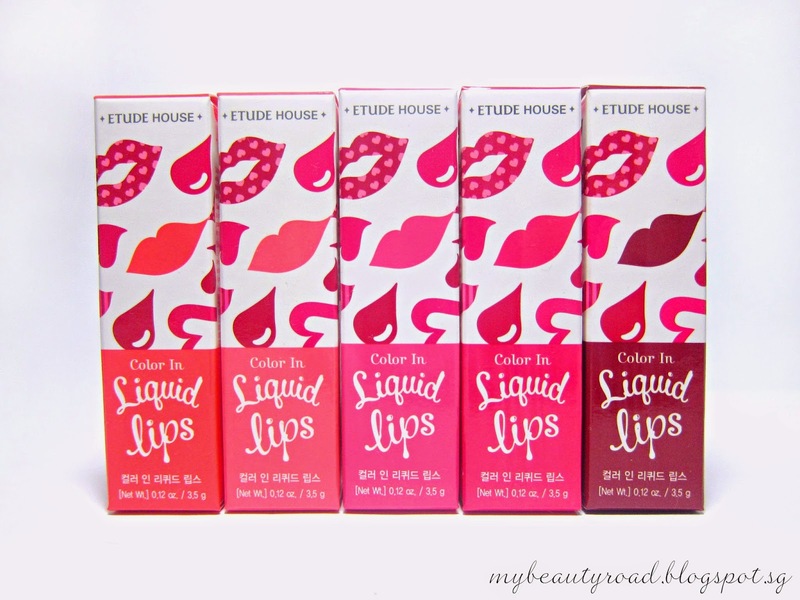 Products by Etude House never fail to please, don't they? Packaging, quality, affordability - they almost nail them all every time! This Spring, the Korean brand launched a whopping collection of 20 new lipsticks, with every shade being incredibly vivid to reflect the effervescence of Spring = the season of youth! I love bright lip colours!!! 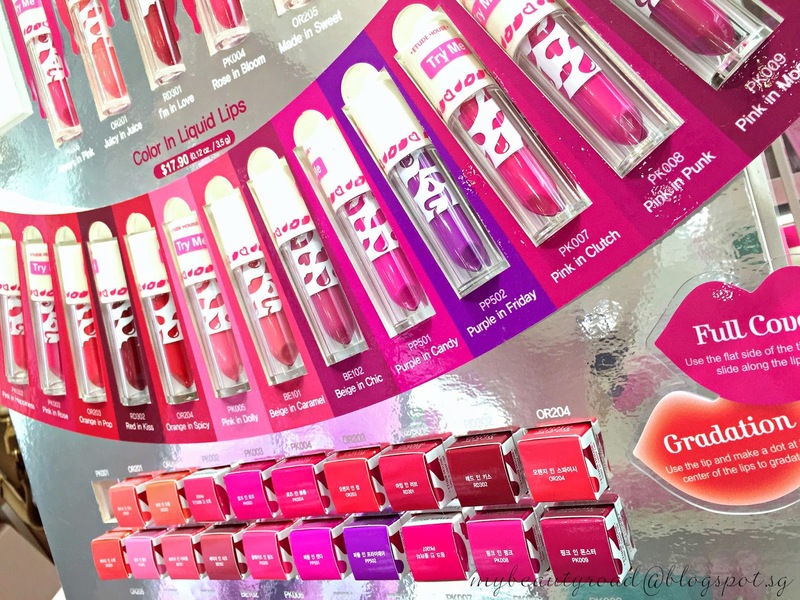 The new Color in Liquid Lips (it bugs me that they use US English though hahaha) is a triple threat to lip perfection, with a combination of lipstick, lipgloss, and lip stain, all in one! These liquid lipsticks offer a plush and velvety texture that melt effortlessly onto your lips. From pretty pinks to robust reds and even spicy oranges, you are bound to find a shade that will match your favourite Spring outfit, whatever your style. If you're a mask lover and you have never heard of the brand "My Beauty Diary" before, then I only have one question for you… Where have you been? But I doubt I'd ever need to ask someone this because all of us should be VERY familiar with this Taiwanese brand by now! Being the No.1 Facial & Eye Mask brand in Singapore, there really isn't a need for me to give an introduction. I've known of this brand since I started using facial masks in Secondary school, and I don't think I've lived a day without having at least 1 My Beauty Diary (MBD) mask in my house ever since! Not even kidding. MBD masks are effective and free of harmful paraben preservatives, alcohol, mineral oil, pigments and fluorescent agents, AND they're affordable too… What's not to love? If you're a fan of MBD like me, then you'll be glad to know that the brand has just gotten even better! With its improved formula, features and packaging, the enhanced mask range now features a uniquely patented ingredient - Cosphingo. With a long-lasting moisturising property for improved hydration, this unique ingredient enables the skin to feel soft and supple. I've no idea what cosphingo is/means though; new word maybe…? MBD has recently launched its NEW Black Mask range - Black Obsidian Moisturising (for skin requiring intense hydration and illumination), Black Rose Brightening (for dark skin and skin desiring radiance) and Black Pearl Total Effect (for skin desiring firming effect) Black Masks. 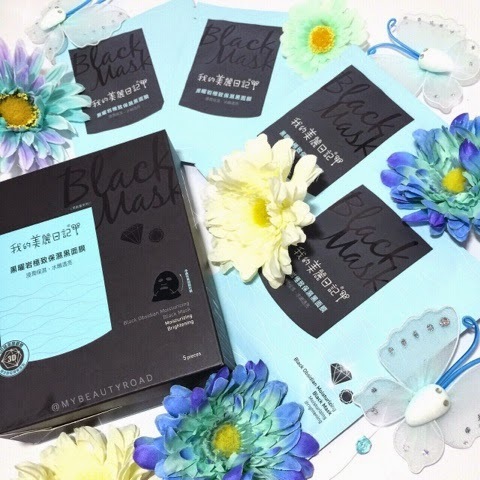 "Utilising mystical black ingredients to help eliminate skin pigmentation, unevenness and loose skin caused by UV rays and environmental impurities, the deluxe Black Mask series help to restore uneven skin tone, enhance skin elasticity, leaving your skin rejuvenated, deeply moisturised with dewy radiance", as described by MBD. Sounds too good to be true? Let's put 1 of their 3 masks to the test! I've never gotten around to subscribing to any monthly subscription box, because… To be honest, I don't even know why! I think it's because I don't like paying without knowing what I've paid for. March is the start of spring for many countries, and daffodils are the perfect flowers to symbolise a new start of this season. 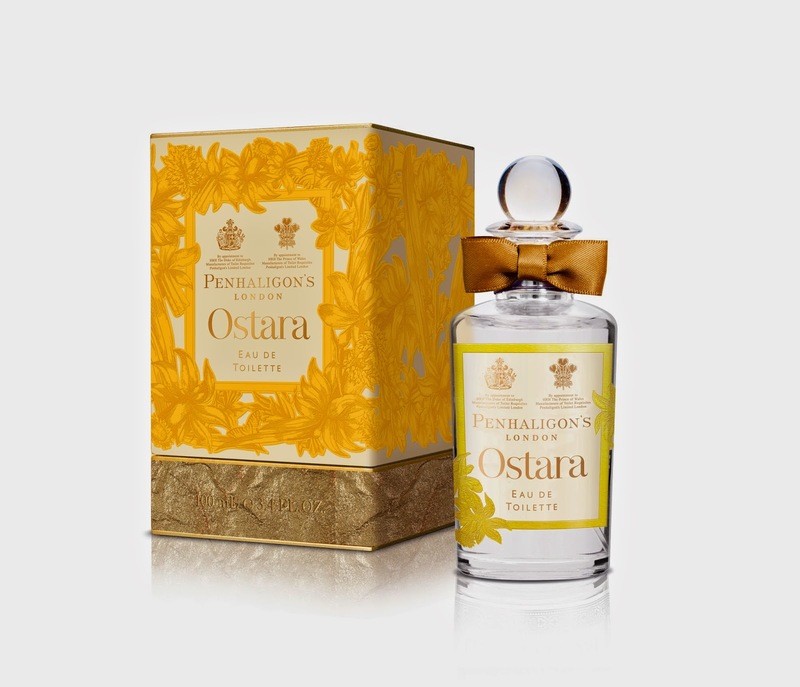 If your nose tends to be drawn towards floral scents, you definitely don't wanna miss out on Penhaligon's latest fragrance - Ostara.